We're hosting our first ever whisky festival on Father's Day at Stonehenge Works, so you can treat dad to a ride on a steam train and a few drams. Entry to the festival is free with a train ticket, and spirits prices start at just £1 per 1cl. 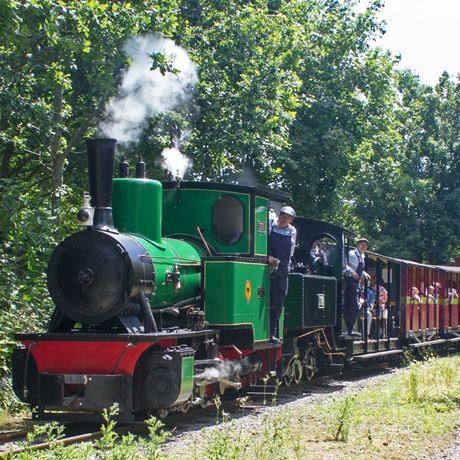 The festival will open on arrival of the first train of the day at 10:55 and last pour will be at 16:00, 25 minutes before the last departure to Page's Park. The festival will be hosted by knowledgeable staff who will be able to help you choose the right whisky for you, and to answer any questions you may have. We know not everyone likes whisky, so there will also be a small selection of other spirits – gin, rum, vodka and more. Plus, soft drinks will be available for children and drivers. In addition, there will be reasonably priced, themed masterclasses held throughout the day by our social media editor and employee of online retailer The Whisky Exchange, Rocky. Train tickets will be on sale from early 2018, or just pay in the station on the day (subject to seats remaining available).